INDUSTRY.co.id - Jakarta - Finance Minister Sri Mulyani assessed that economic conditions and situation in Indonesia have developed after 20 years of reform so that it is different from before the 1997-1998 monetary crisis. Met at the Djuanda Building of the Ministry of Finance, Jakarta, Tuesday (5/22/2018) the former managing director of the World Bank said that before the reform there was no independent financial sector supervisory institution. "Now Bank Indonesia has the independence and purpose of maintaining exchange rate stability and inflation, they now have a mix of policies, they did not have," he said. 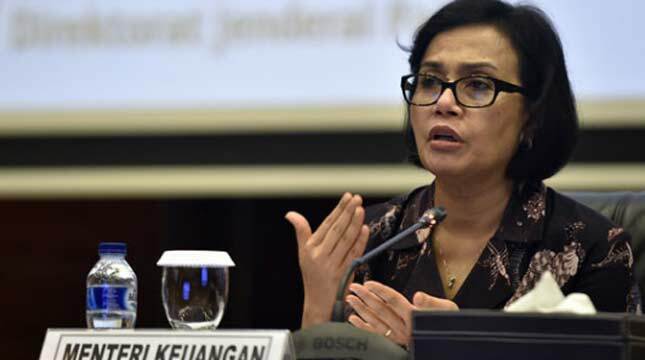 Sri Mulyani also considered that in the reform era there are correction mechanisms for the owners of the banking industry and the nonbank financial sector, especially those experiencing adverse conditions. Such correction and supervisory mechanisms are carried out by the Financial Services Authority. Sri Mulyani said such a correction did not exist because the previous financial sector supervision was split between MoF and BI. Later, Sri Mulyani also considered that public and private governance has become more transparent. From the side of the government, in the period before the reform deficit APBN not done presentations like now. "The State Finance Law provides guidance on the number of deficits and debts.On the 'setting' side, 20 years ago bad misconduct and governance could expand without a check mechanism," he said. Governance is also more transparent as many institutions publish their entire balance sheet as listed companies. The exchange rate mechanism of Sri Mulyani also says the conditions that distinguish the times before and after the reforms are the mechanisms or the exchange rate system. He said the current exchange rate system is flexible, meaning that when the economy develops positive then the rupiah can strengthen.